Find out how you can achieve significant and sustainable quality improvements and reduce error rates while reducing costs. Explore how the Readiness Rounds platform is a crucial performance improvement component of any high reliability design. Whether it is moving the organization towards High Reliability or simply reacting to HAC fines, healthcare organizations often need a way to improve reliability. 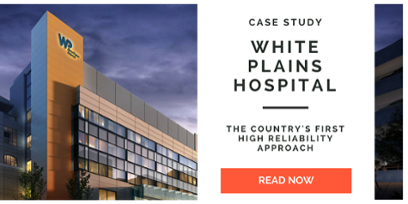 This can be accomplished by implementing optimized processes, building a culture of reliability, and utilizing tools to leverage healthcare workers’ potential to provide improvement. Explore how these clinical quality checks can be consolidated into a single improvement process on the Readiness Rounds platform. It is proven that the consistent observation of Nursing practice, interviewing staff for knowledge, and developing improvement strategies, significantly improves clinical quality and patient safety. Typically, there are 10 to 20 checks (Pressure Ulcers, CAUTI, CLABSI, VAE, Restraints etc.) that are absent from the current electronic health record assessment process. Evaluate the Readiness Rounds approach of constant readiness and transition to accreditation success as a byproduct of a proactive quality approach. Evaluate the Readiness Rounds approach that encompasses the entire continuum of care. The pressure of improving HCAHPS scoring from a financial and reputational perspective increases daily. Moving your facility to and maintaining a top quartile industry performance standard requires a cultural shift for most hospitals. This shift requires a commitment to a sustainable and comprehensive approach to all elements of patient satisfaction. Explore how to implement sustainable, cost effective improvement strategies to reduce Healthcare Associated Infections. The potential for Healthcare-Associated Infections (HAI’s) are a major, yet often preventable threat to patient safety. Healthcare organizations looking to improve Hand-Hygiene, High Level Disinfection, CAUTI, CLABSI, etc., will be well served by utilization of the Readiness Rounds platform and approach. Explore how the many aspects of providing a safe environment can be consolidated into a single improvement process. Vigilance in scrutinizing the safety of the hospital environment is both an ongoing operational and accreditation necessity. In addition to the standard Environment of Care roundings on both clinical and non-clinical areas, our platform includes checklist templates for ILSM, PCRA, ICRA, Fire Drills, Radiation and Lab Safety rounds. Explore how you can streamline your Safety Reporting process. Driving change occurs by aggregating and analyzing as many events as possible. Furthermore, preventing adverse events begins with the foreknowledge of current reporting failures. An event and incident reporting system will permit the collection and analyzation of data, provide tools to implement quality initiatives and improve patient care while reducing risk. Thus minimizing loss, and proactively preventing further harm.